Stella McCartney sure knows how to get the colorblock right. Check out these Two-Toned Sandals in punchy pink & red. The quilted pink insole is so pretty while luxe! 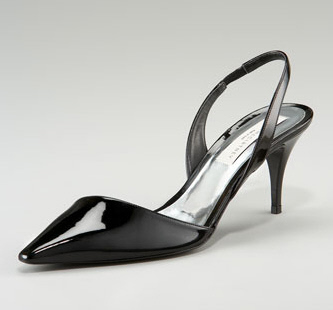 And the lucite heel adds even more of an airy feel. 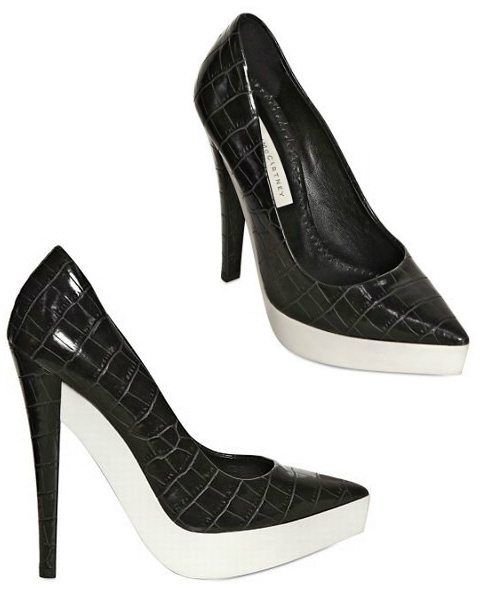 You can get them on sale for $721 but hurry, sizes are limited! If you are fan of cooler tones, this similar blue pair has a patent finish with a matching acrylic heel. Also in black. YUM!! 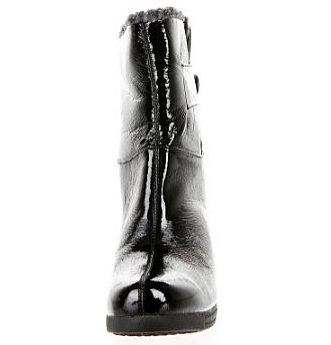 Gosh, I’m absolutely head over heels for these Stella McCartney Rubber Wedge Boots! Wedge boots are my new found love this season. 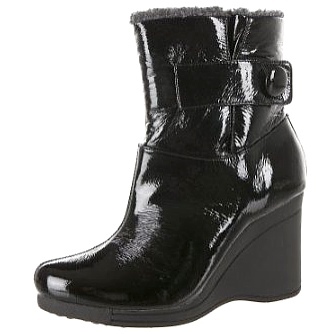 Check it out… look at the shine… get the look of a rain boot on a fab wedge with cozy fur lining. How hot! Or, get the look on the cheap for just $89 with the Mariah Furry Wedge Boot. Rain or snow, these weather-proof boots will keep you stylin’ & profilin’! 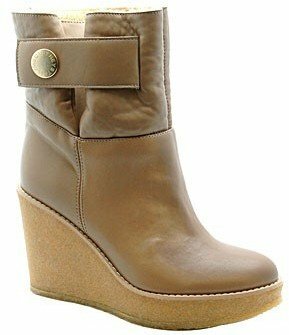 Stella McCartney wedge boots on sale for $297 $495! 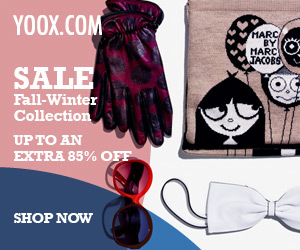 Limited in sizes, so hurry!